Bio therapy completely Organic innovative Brazilian Straightening technology system. Bio therapy contains cocoa extract best for hydrating, repairing and adding natural moisture and makes hair soft and manageable. Bio therapy also contains Theobroma Cacao Seed Butter extract creating a natural form of protective barrier that prevents dryness and loss of hydration dashed with a delicious chocolate fragrance. Part hair. Apply Bio therapy with a color brush section by section. Do not over saturate. Complete each section by combing root to tip to distribute the treatment evenly and ease any excess for the next section. Leave on for 20 minutes. 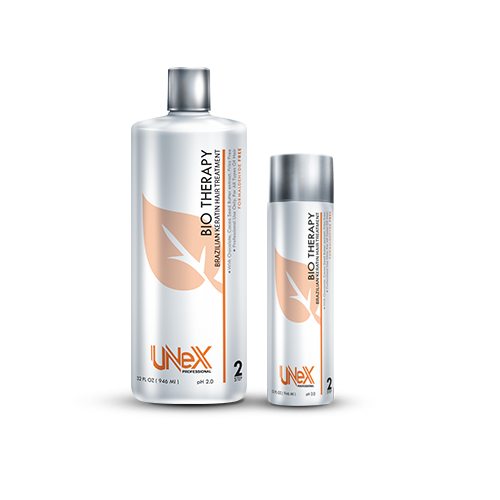 UNWANTED ORANGE TONES IN BLONDES Immediately after the Unex Bio therapy treatment is completed after step #6. 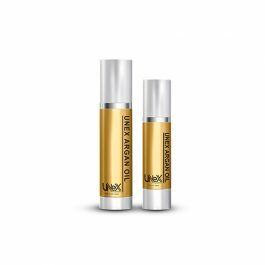 Mix well 25ml –Lightest natural blonde (permanent color) BASE BLUE/ VIOLET, with Unex Argan Post SHAMPOO in a plastic ball. 3. 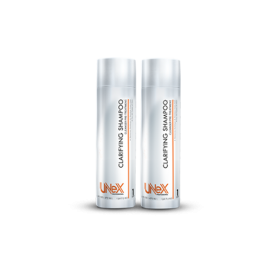 Rinse with cold water, apply Unex Argan Post CONDITIONER. Wait 5 min and rinse again with cold water – this will restore the hair color to the desire shade. 1. 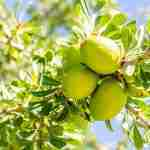 You may add the desire tone of color to the Unex Argan Post SHAMPOO . 2. Wait for 10 minutes, rinse with cold water, apply Unex Argan Post CONDITIONER for 5 min and rinse again with cold water – this will restore the hair color to the desire shade. Keratin4all will not be held responsible for any applications not performed correctly and that are not performed by licensed Keratin4all professionals. Keratin4all can’t guarantee the desired results while using other types of Pre-Care or After-Care Shampoo or Conditioners in combination with The same line products. 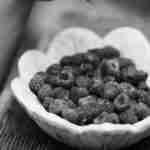 Precautions Keep in room temperature and out of the reach of children. In case of an unwanted reaction to skin or hair, please stop using the product immediately.